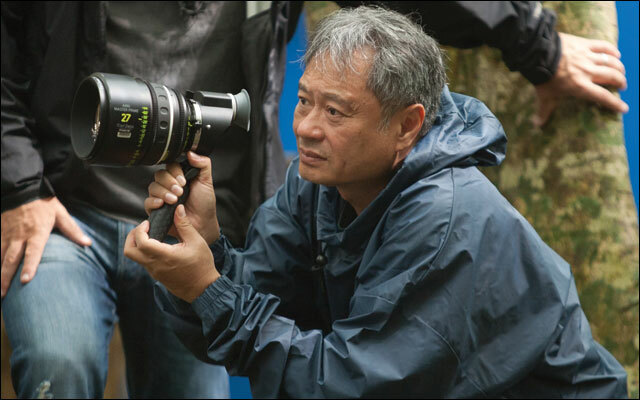 On “Life of Pi,” Ang Lee wasn’t just dealing with one unprecedented challenge, but four: an untested actor in the lead; a largely digital tiger; cumbersome 3D rigs; and shooting extensively over water. But this is a filmmaker who has mastered almost as many genres as he has directed movies, and he took each hurdle in stride. Not satisfied with available facilities, Lee built a huge water tank in his native Taiwan (75 by 35 meters or 246 feet by 114 feet) that allowed him to control the rhythm, shape, size and length of the waves depicted in his metaphysical special-effects extravaganza about an Indian boy cast away on a boat for 227 days with a Bengal tiger. As if tackling a cherished literary fantasy — Yann Martel’s Booker Prize-winning novel — didn’t create its own set of expectations, Lee experienced more than his fair share of trials and tribulations. For one, he felt the way animals had been depicted before in films was something he wanted to avoid, so he used the real thing — namely King, “a gorgeous, 7-year-old male, 450 pounds,” who was the main model for his CGI team.